“Since 2007 I have been doing skyrunning competitions: it has always been a dream to bring a real Skyrace to Liguria, specifically to Acquasanta. When I arrived in these villages, I wondered how it was possible that from there it would be ringing a path so hard, so difficult, so technical: punctually it occurred. My dream has always been to be able to reproduce those paths. 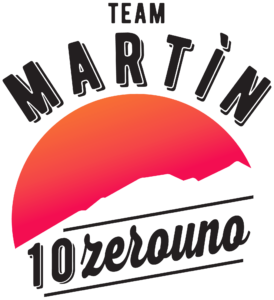 Now, a distance of so many years, the Martìn Team 10zerouno and I have succeeded in designing a true Sky path, where the only concern is to climb to the top and descend quickly “on the tail of the dragon“: in fact the AltaVia of the Monti Liguri, in the downhill walk, truly resembles the tail of a dragon, and the dragon is Punta Martìn. The path is really very technical. 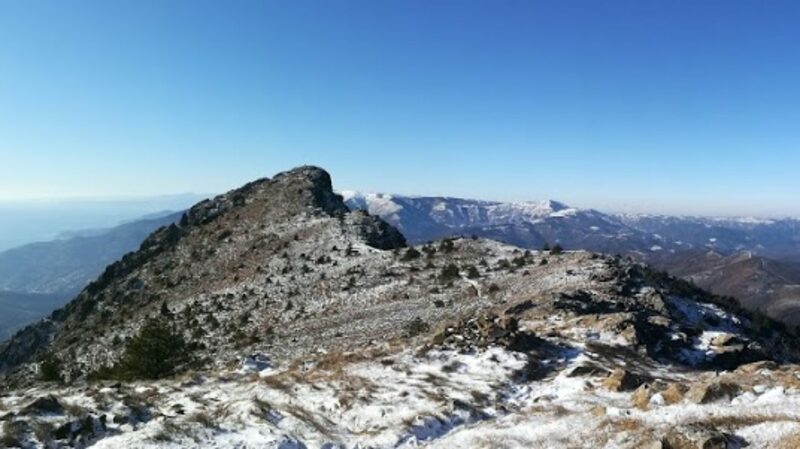 The difficulties are concentrated in the first thirteen kilometers: after a launch a break of a kilometer on the asphalt and the first ford along the river, there is the first climb that immediately throws you on all fours. The climbs are all over 40% average, the supports are truly irregular and are to be found. Then there is a great descent towards the ford, and afterwards you’ll discover the second climb, hyper-technical, where harness, lounge and helmet are mandatory. This is to let the meaning of a skyrace breathe. Then down again and back in the valley of the Baiarda, to make the second ford and attack the Martìn: three km all over 30%, extremely technical, with the last part in climbing, leading to the summit. Once dominated Punta Martìn, you have the opportunity to take off your harness, helmet and lounge and practically fly for this queue. From there you get to the Turchino tunnel and then go down to Mele, direction Biscaccia, then descend again into another valley with an old mill and go back to Giutte. From there a photo to return again to the village of Acquasanta. This is a simulation of a large breath, similar to a square wave: a great inhalation to hold your breath, and then throw everything downhill, empty yourself and free yourself at the bottom.